The New Lead Crystal Battery Innovation is Here! What makes Lead Crystal batteries better value for money? A 100amp/hr standard battery gives you 30 usable hours. A 100amp/hr lead crystal battery gives you 80 usable hours! Which also means you can buy a smaller lead crystal battery for the same usable hours as a larger standard battery. Plus, all lead crystal batteries come with a 3 year guarantee!!! 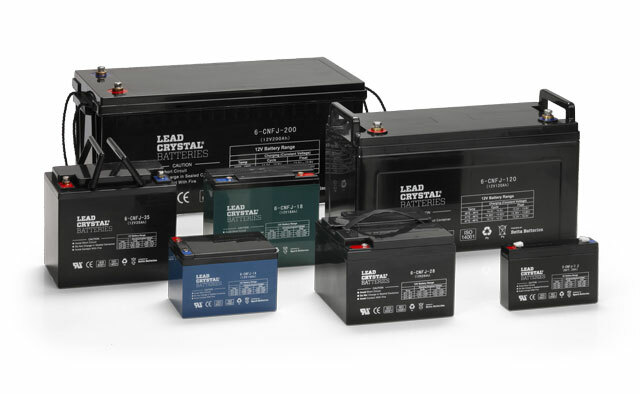 Lead crystal batteries have special features, including a unique micro-absorbent mat, thick, high purity plates made from a life- extending lead calcium selenium alloy, combined with a SiO2 based electrolyte solution. This improves the reaction ability between the electrolyte and active material on the plates to prevent it becoming brittle and falling away which boosts the life cycle. When it’s charged/discharged the liquid changes into a crystallised state which greatly reduces the risk of electrolyte leakage, making it safer to transport, store and use. 8-12 years usage (only 2-3 years for lead acid, 3-4 for lead gel and 5-6 years for lithium). Works in extremes from -40° C to +65° C.
Less acid, no cadmium or antimony – protects environment. 3-year factory warranty is standard. Can be fitted under 4wd bonnet without avoiding the 3-year warranty. Can be discharged 100% and then restored daily.